Scrumpy's Hard Cider Bar and Pub shared a photo. 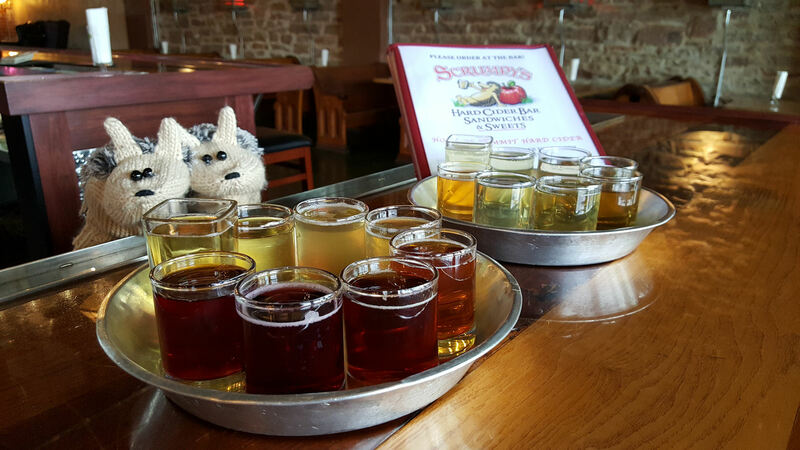 Scrumpy's Hard Cider Bar and Pub updated their cover photo. Do you live in the Denver area or the I-70 corridor? Do you like Summit Hard Cider? Here is the current list of the area's liquor stores selling our product! On a snowy May 1, 2012, Jennifer Seiwald, her husband Rodney, and the enthusiastic team behind them, opened the doors to Scrumpy’s Hard Cider Bar and Pub, home of Summit Hard Cider. Overnight, a legacy was born. At first Scrumpy’s existed simply as a mere hallway and small fermentation room. But after a 4-month renovation ending in April of 2016, we tripled in size after expanding into the neighboring, recently vacated space, to create the beautiful tap house you see today. Now, questions tend to arise when talking about Scrumpy’s (the tap house) versus Summit (the cidery). We call our tap house Scrumpy’s as to not limit our tap selection to just Summit Hard Cider. Our tap house is indeed the home of Summit Hard Cider, and offers 48 rotating taps, including everything from beer and cider to wine and mead. We also get asked “What’s a ‘scrumpy?’” The term ‘scrumpy’ is defined as cider made from unwanted, undesirable, or fallen apples, and that typically has a high alcohol content. Scrumpy’s Hard Cider has the logo of a hedgehog because Rodney always wanted to have a pet hedgehog growing up and was never able to house one. However, there is indeed a real live Scrumpy the hedgehog, although he now lives in New York. Not only do we have a passion for fantastic cider with flavors ranging from the familiar to the wonky and unusual, but we also have a passion for utilizing all that the earth has given to us. After acquiring Branch Out Cider in the summer of 2016, we have been able to reduce excess waste in the Fort Collins community by harvesting undesirable apples that would normally be thrown out, in return creating a beautiful product for those of legal drinking age to enjoy. We extended this effort in earning a grant to operate a Mobile Juicing unit along the Western Slope, harvesting farmers’ rejected and downright ugly apples, cherries, peaches, and other fruits of the like. Scrumpy’s Hard Cider Bar, along with Summit Hard Cider is a groundbreaking company that has only just begun to change the face of cider and the way we see fruit everywhere.